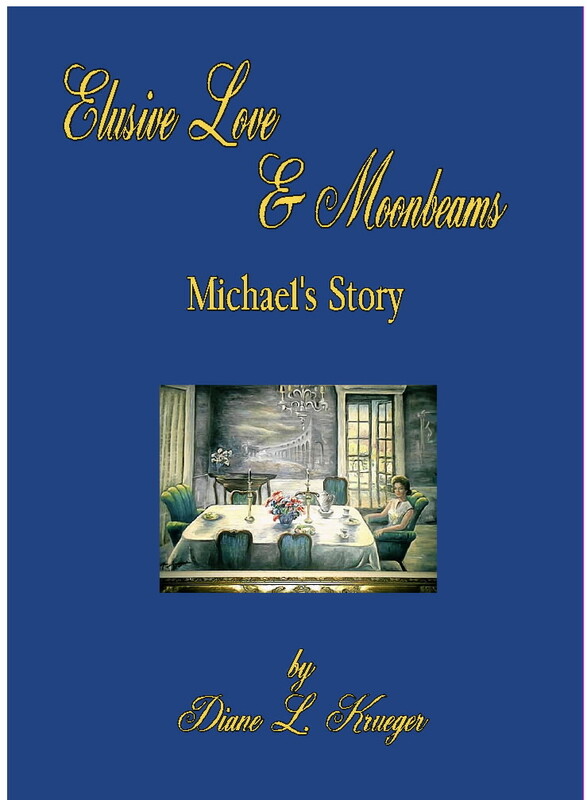 The Poetry of Elusive Love and Moonbeams was released early summer 2004, along with Elusive Love and Moonbeams: Donna's Story. They are part of a trilogy book series plus the love poetry from that series, dealing with the characters ups and downs in their elusive love. The two tiles above -- Elusive Love and Moonbeams: Michaels Story and Elusive Love and Moonbeams: Reneta's Story are scheduled for release mid-March of 2005 through 2006. These three novels plus the poetry book by Diane L. Krueger will be also available in large paperback editions.